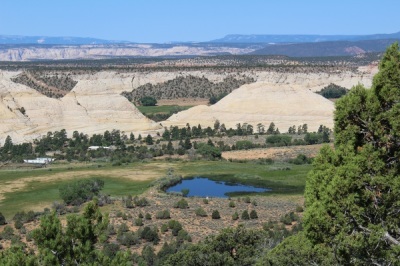 This exceptional 10 acre property with its own well and cozy, well built cabin provides an ideal place to leave the city and experience the incredible beauty and silence of nature that the slickrock and pines near Boulder offer. 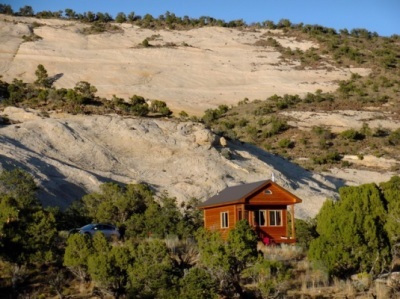 Mighty Ponderosa along with pinion and juniper trees provide shade, privacy and company. The cabin is 252 square feet with a spacious loft and is a very pleasant space, due to the excellent quality of the workmanship and materials. Views from the porch and the southern night skies are a gift. There is land, water, and a septic system sufficient to add on to the cabin or build a larger home in the future. The well, with its delicious water and plenty of capacity, gives the owner a comforting independence, not possible with shared wells. Native plants are thriving as are fruit trees and perennials planted by the owner. The delightful land with all the utilities and a comfortable place to stay after a day's hiking is a rare find. 2175 East Under The Mesa Road. Very appealing and nicely designed with creativity and style, this home with its intimate space and ceiling to floor windows, is perfectly placed on a beautiful 8 acre lot with lovely Boulder views. One spacious room provides a contemporary kitchen and dining area, a sleeping space and a sitting area. On the south side, a generous sized bathroom has a tiled open shower with an outside entrance. Softly colored concrete floors, Roman shades and East light add to the soothing atmosphere. All appliances and some furniture included. Boulder culinary water. Full RV hookup on property. 460 S. Lower Boulder Road. 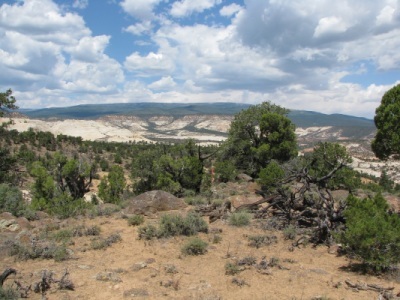 Southern Rim 10 acre lot with stupendous views in all directions. 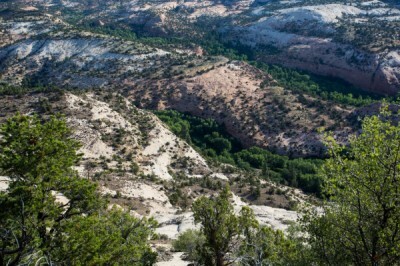 A stunning closeup of the creamy, massive Sugarloaf along with long distance sites of the rich, rose-colored cliffs above the Escalante canyons are the southern views. 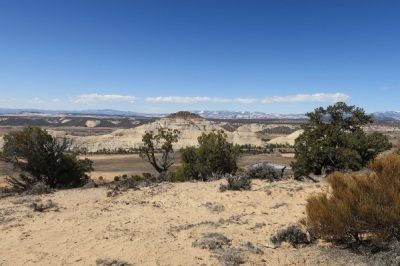 To the north, the complete wilderness of sandstone gorges ascending to the Henry Mountains and Boulder Mountain can be seen. Absolutely gorgeous, silent, private and unspoiled. All utilities installed. Water connection included in price. Ready to build. Excellent access roads throughout the Mesa. The CC&R's of Black Boulder Mesa have been changed to allow for less cost in construction. A terrific opportunity to be close to the grandness of nature. Parcel 23, 1928 Juniper Branch Dr. Black Boulder Mesa. 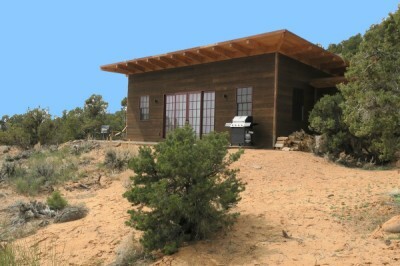 Price drastically lowered to $170,000. Northern wilderness views of colorful canyons and the lush greenery of Boulder Mountain are the appeal of this Long Neck lot. Ideal building envelope for privacy and maximum vistas of the astonishing landscape. Water connection included. All utilities stubbed at lot line. 10 acres - Lot 2, Long Neck. Separate from the other lots with wonderful views of Boulder Mountain and the neighboring canyons. Eastern and western vistas are excellent. Perfectly sited building envelope. Water included. All utilities, including water from private system stubbed at lot line. Enjoy the wilderness from your doorstep.